Highly skilled therapists provide a diverse range of holistic therapies and restorative massages offering nurturing body treatments and wellness activities. 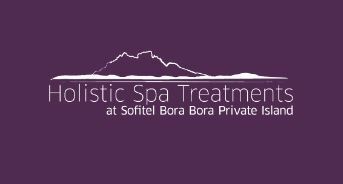 Come and nurture yourself with a blissful relaxing massage on Sofitel Bora Bora Private Island. Plunge into the Ancient Polynesian Mana, and the energy of Nature! The lapping of the waves and the tranquillity of the location enhance the wellness experience and accompany you in a dream setting. To take better advantage of your massage session you are encouraged to arrive 5 minutes before the beginning of your treatment. We recommend that you take a shower in advance in order to enjoy the benefits of the oil.